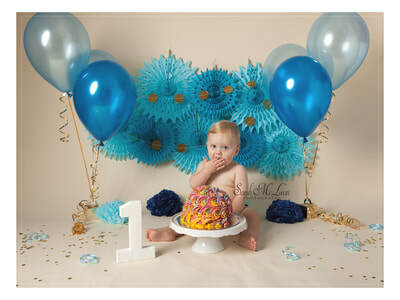 ​What an amazing first year! Your baby is reaching their first milestone birthday after a full year of exploring and adventure, that year may have gone faster than you first thought too. Your babies first year getting to know your little one is the best year of your life, feeling love that you never knew, lots of first's in your journey of parenting, first nappy, first sleepless night, first solid, first tooth... so much has happened in this amazing year, no wonder why parent's choose the thrill and excitement of a cake smash to celebrate - it's the perfect way to round off the year. 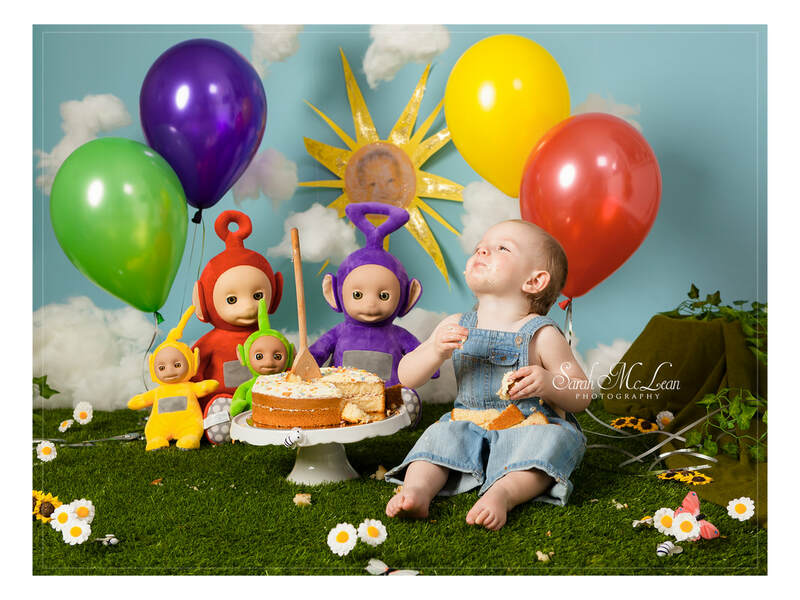 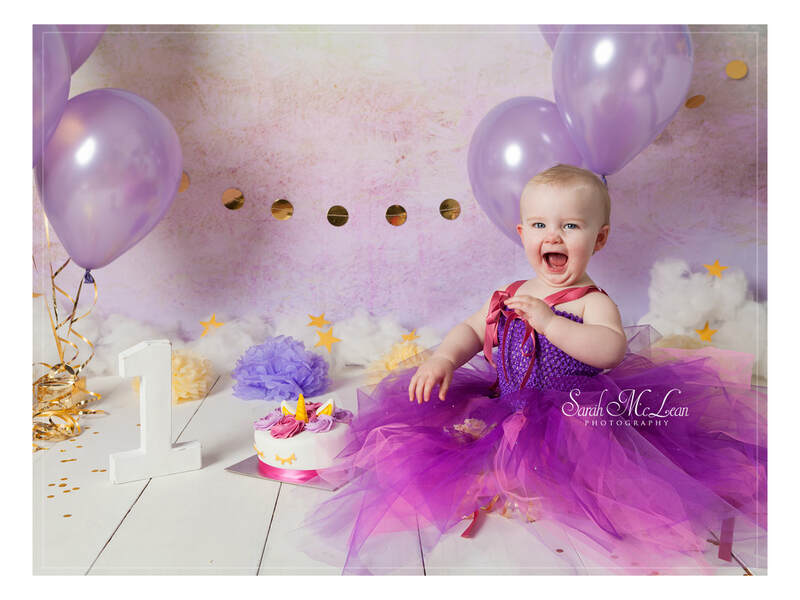 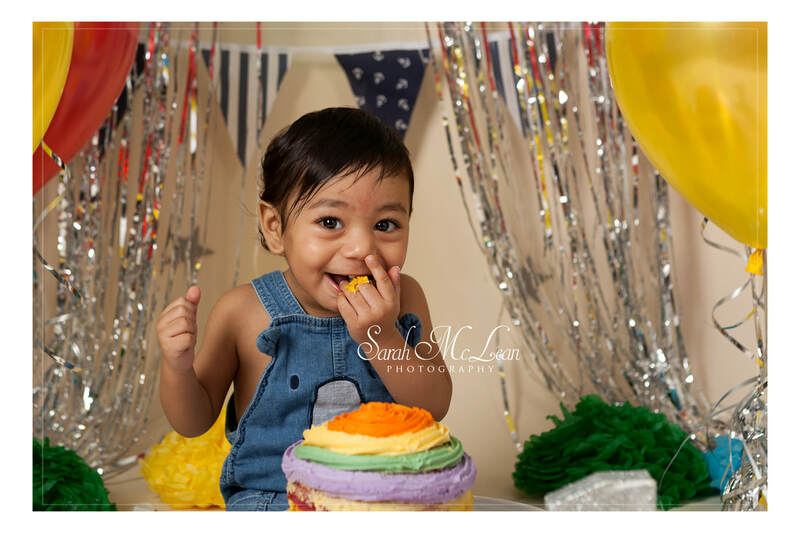 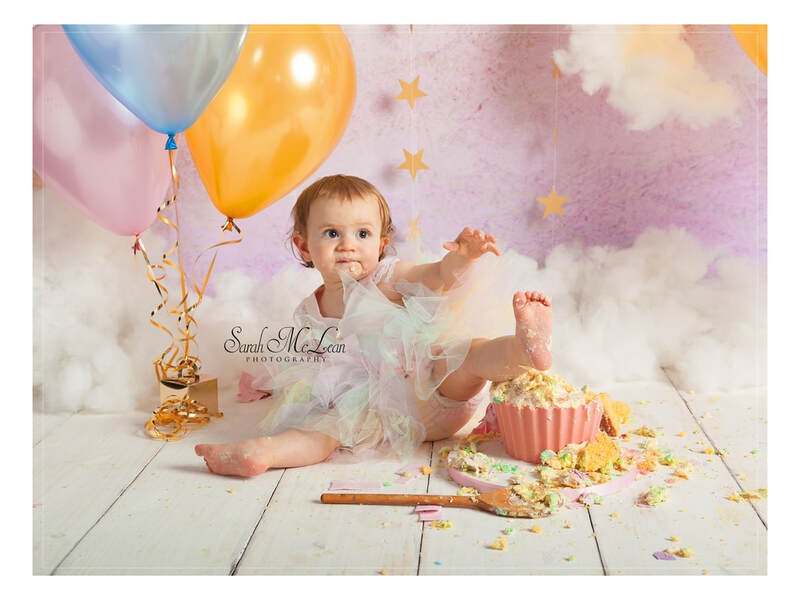 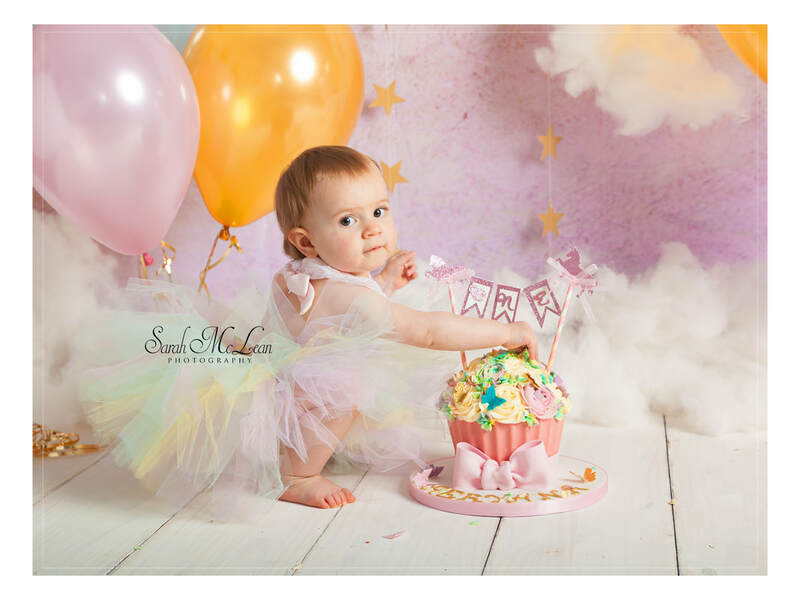 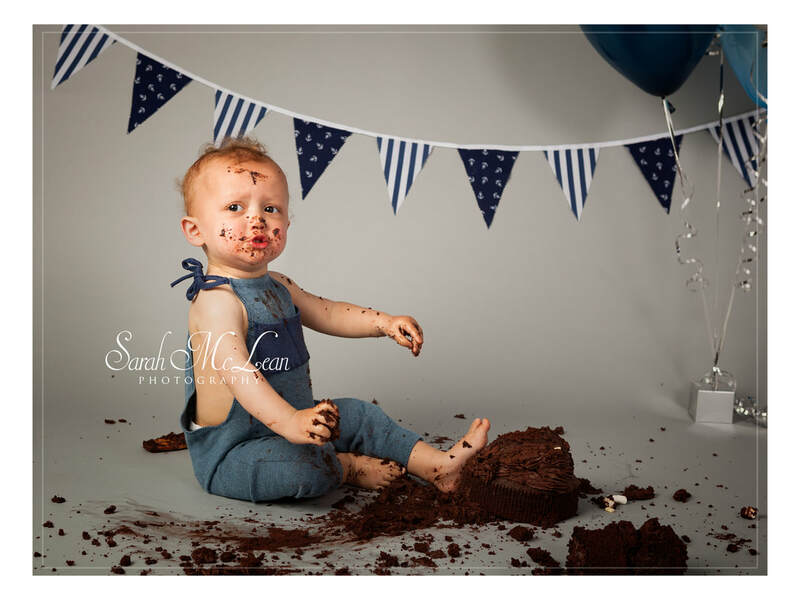 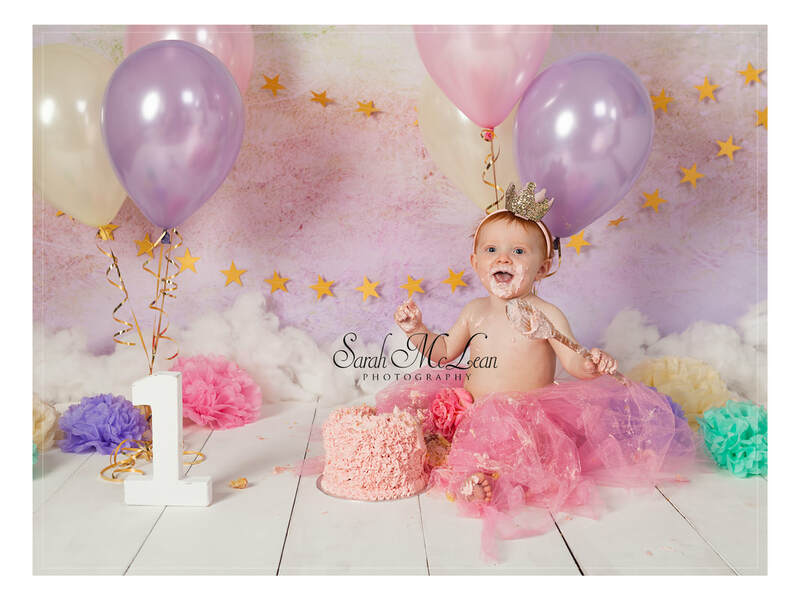 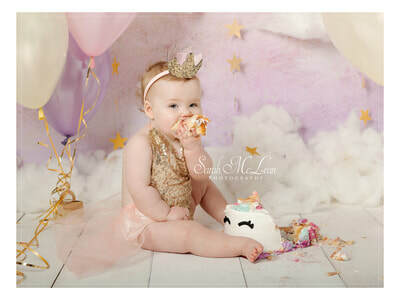 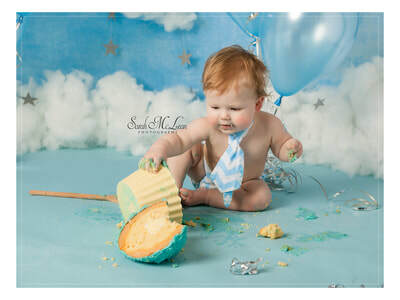 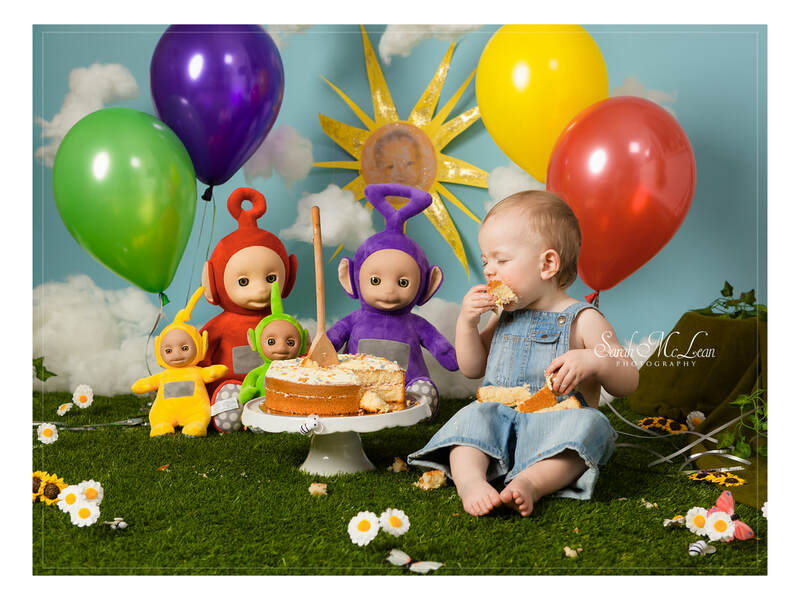 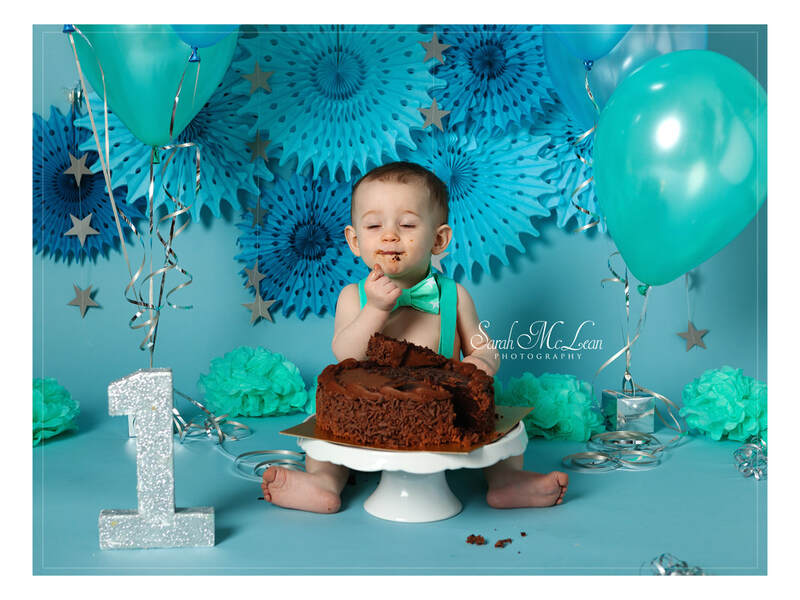 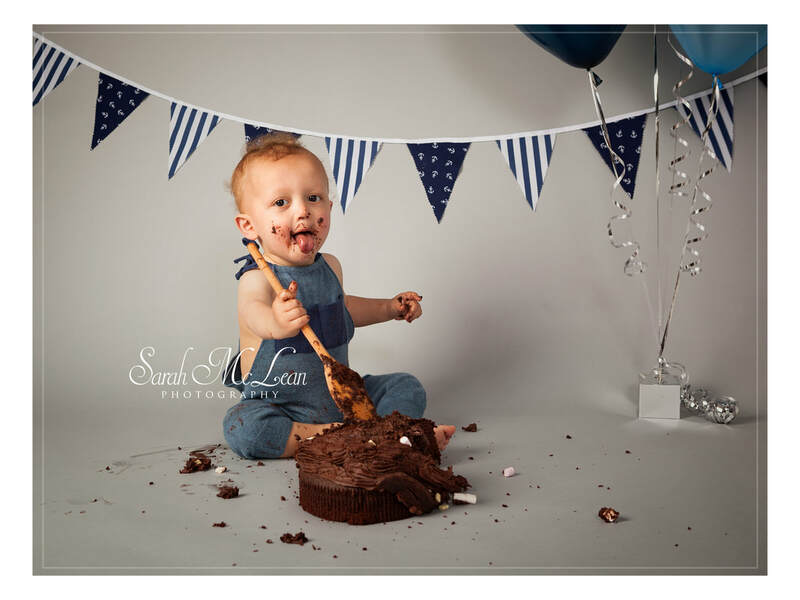 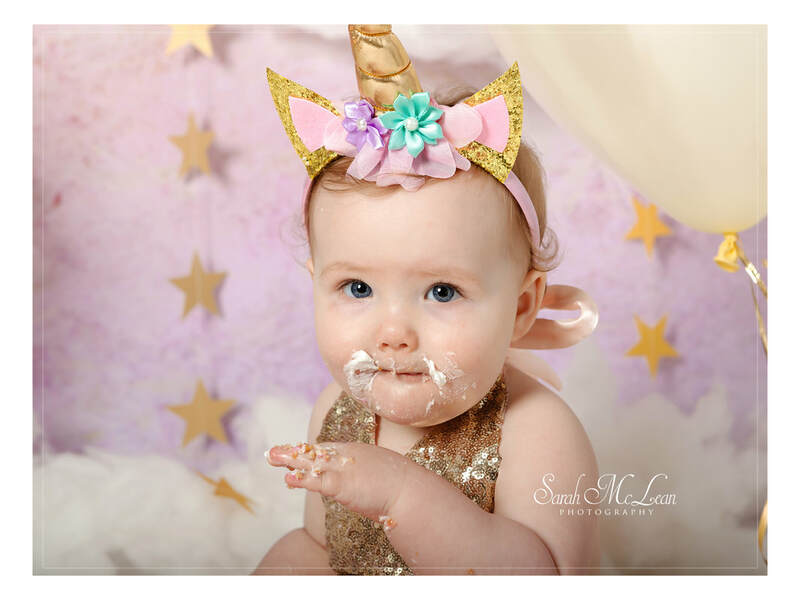 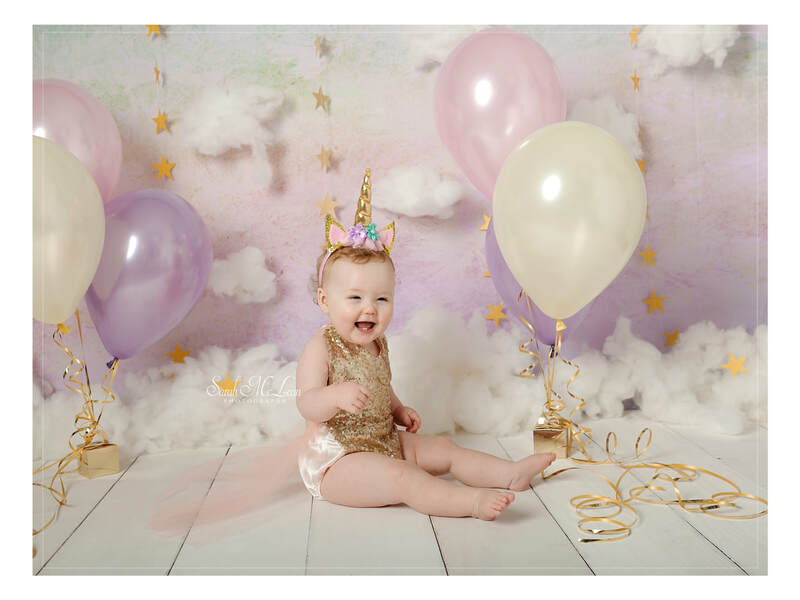 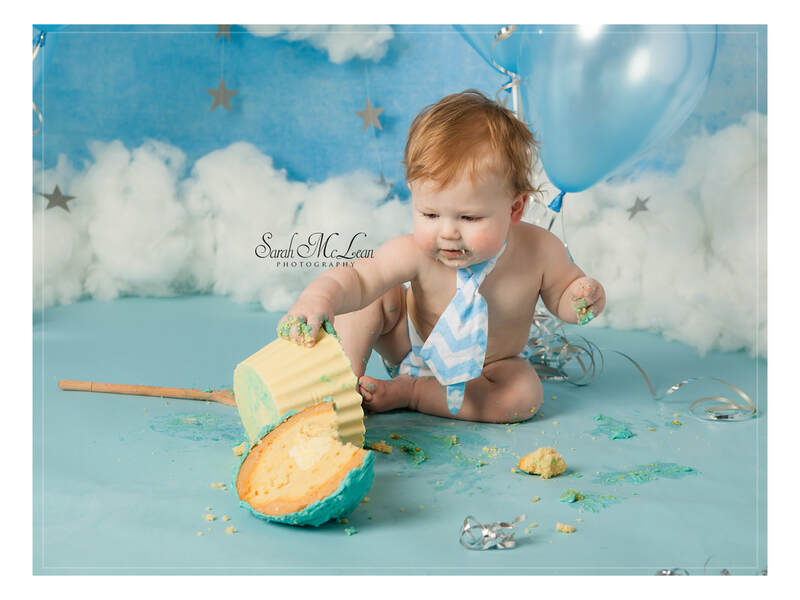 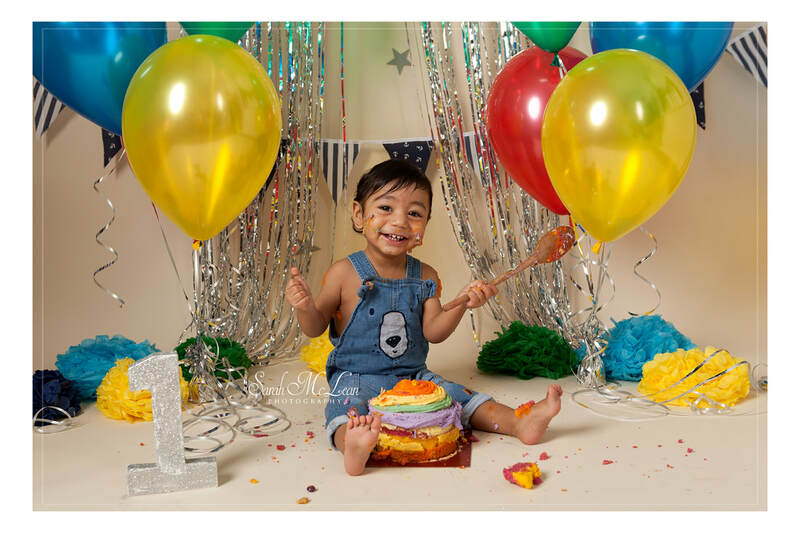 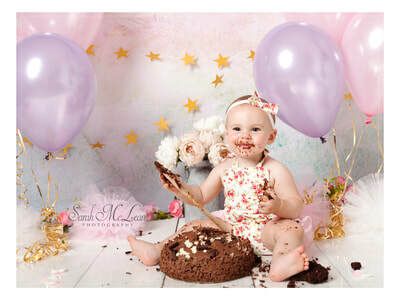 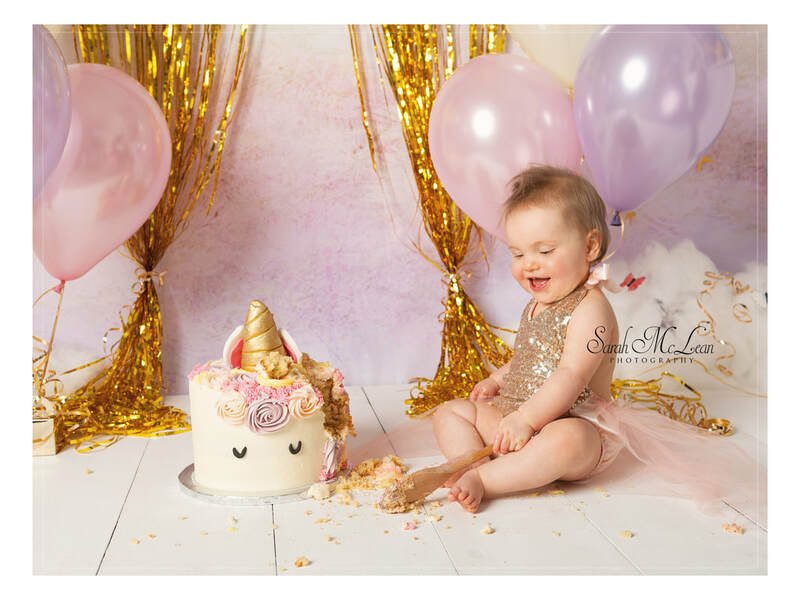 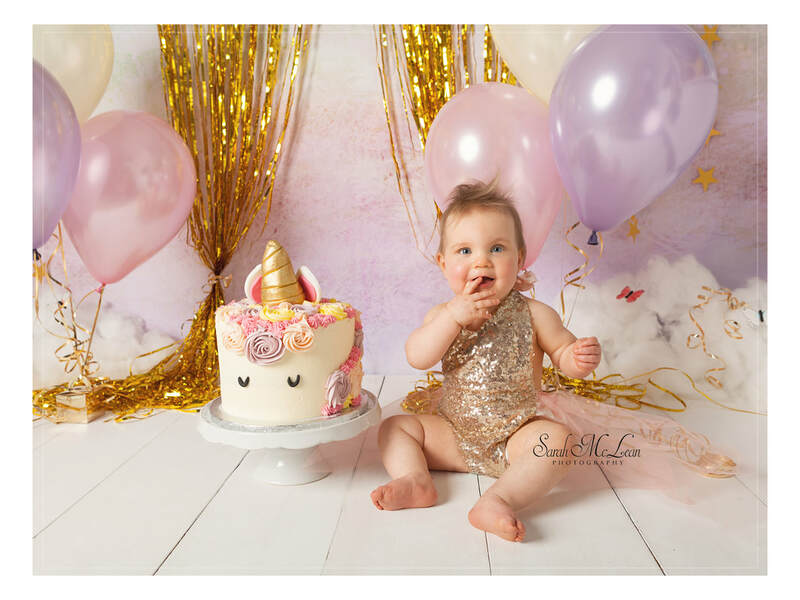 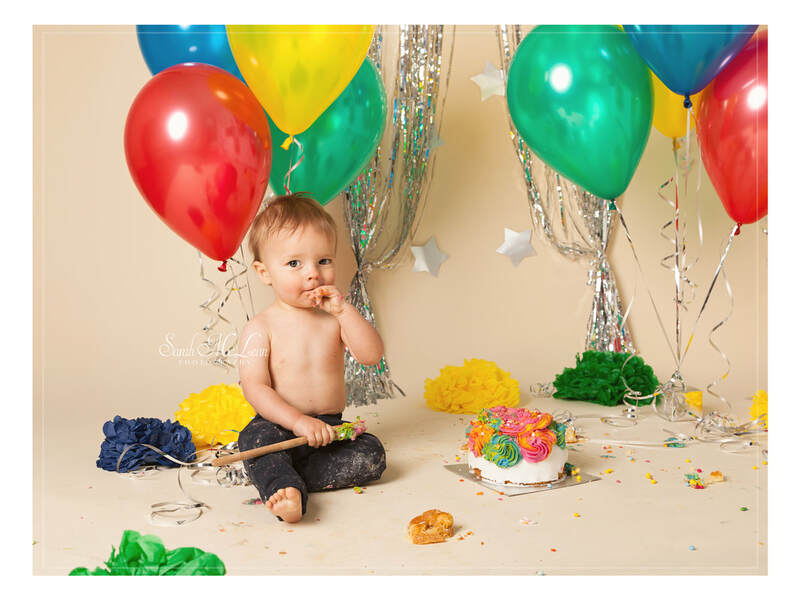 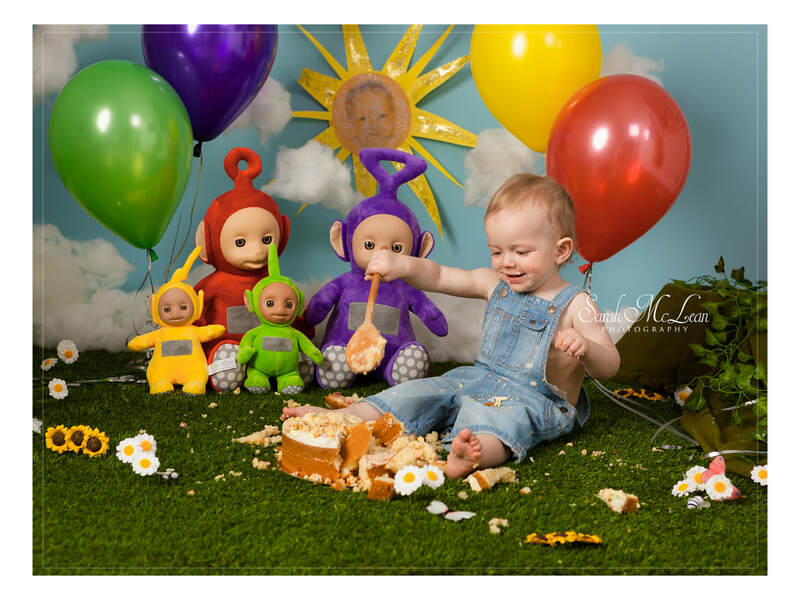 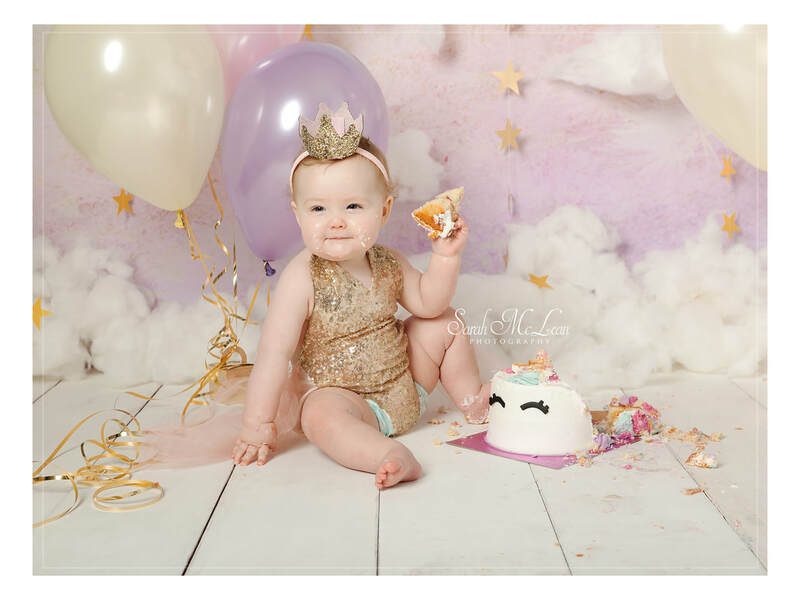 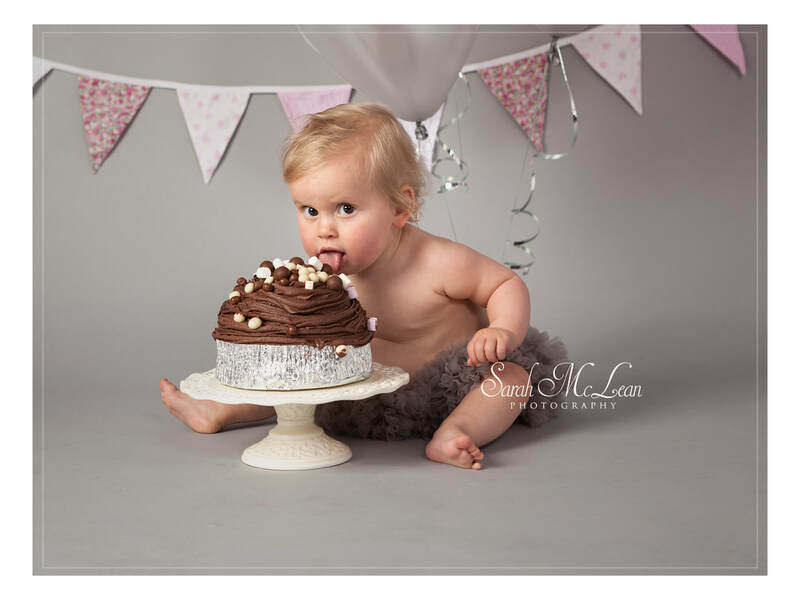 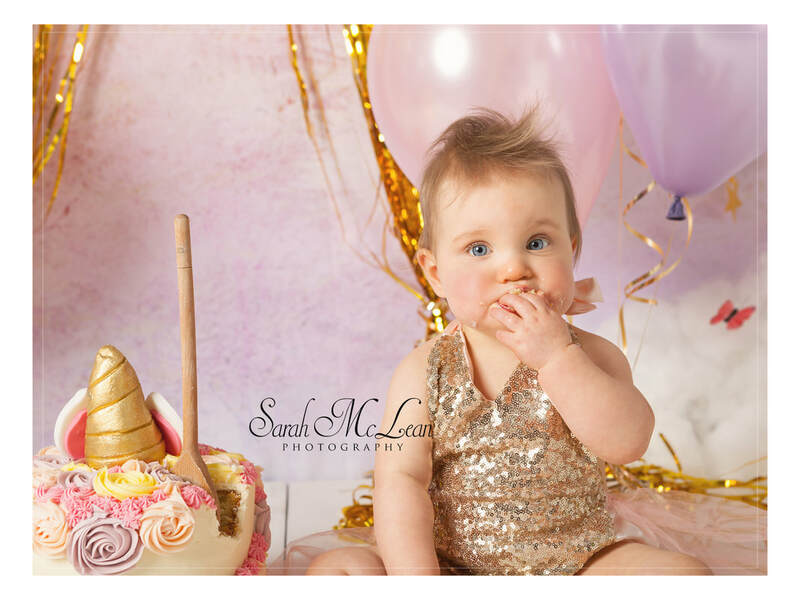 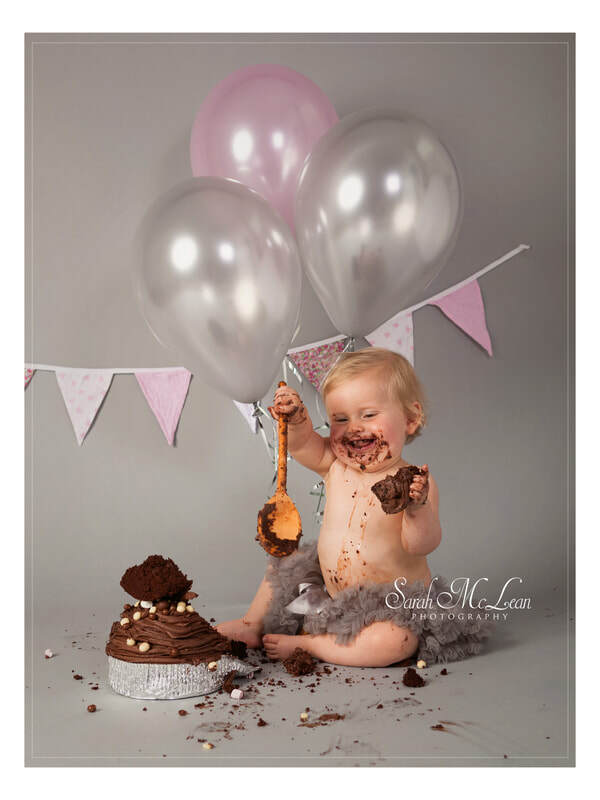 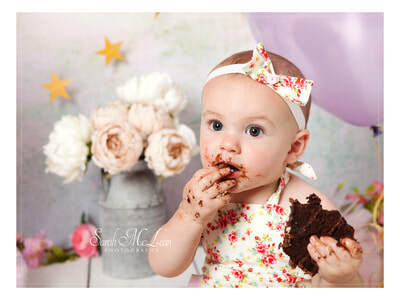 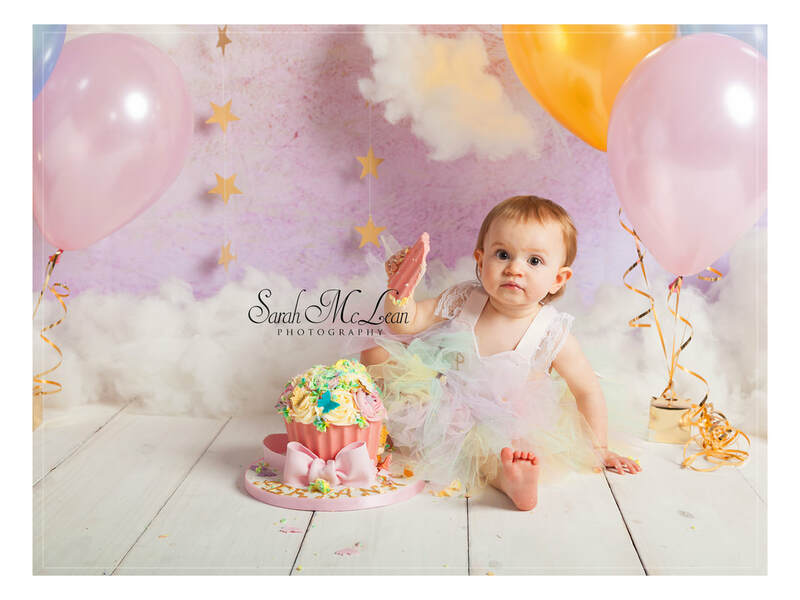 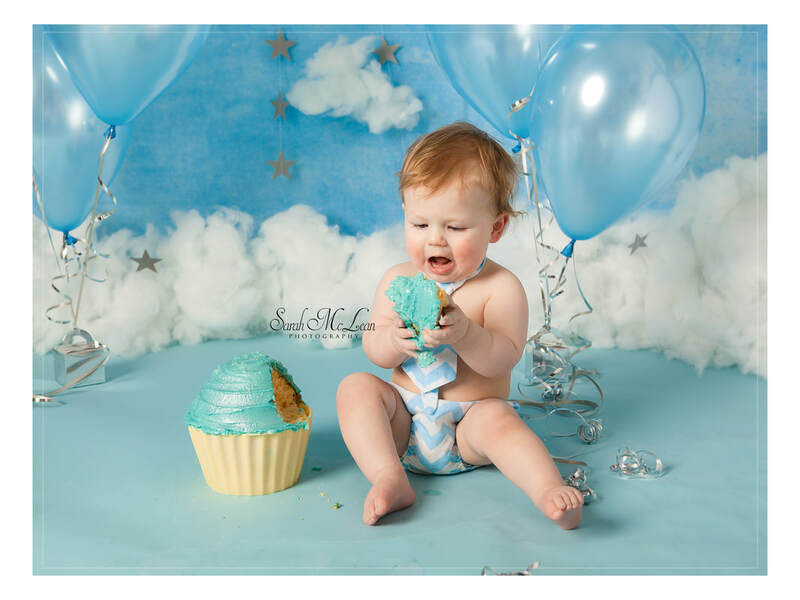 Booking your Cake Smash experience with me guarantee's a fun-filled first birthday session with lots of cake and messy play, with beautiful pictures to remember this perfect milestone. 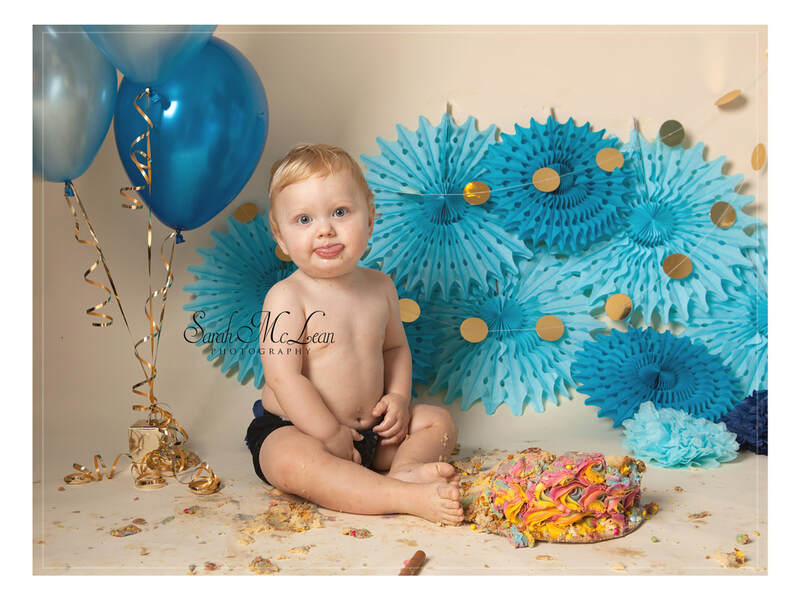 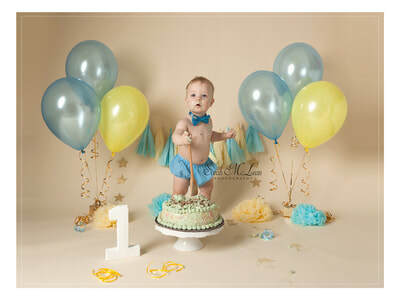 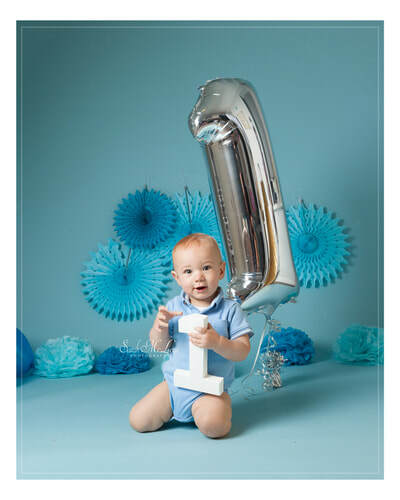 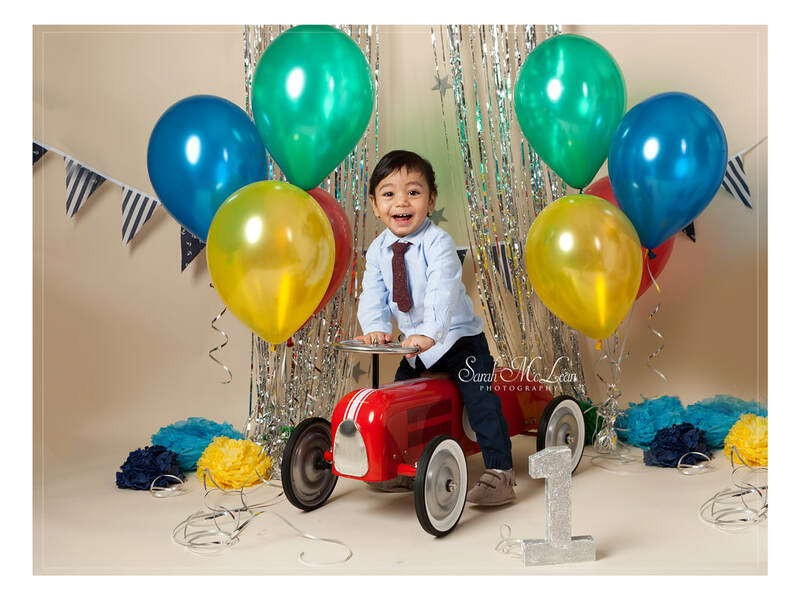 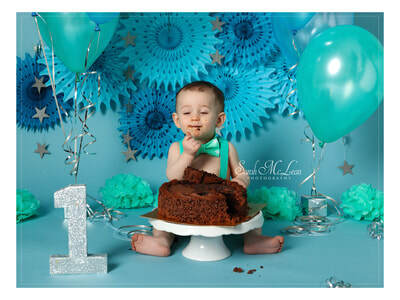 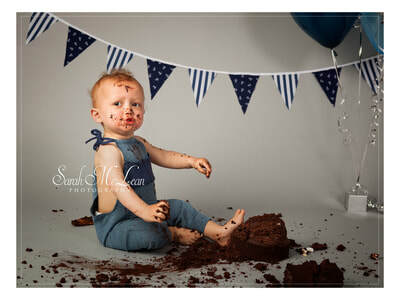 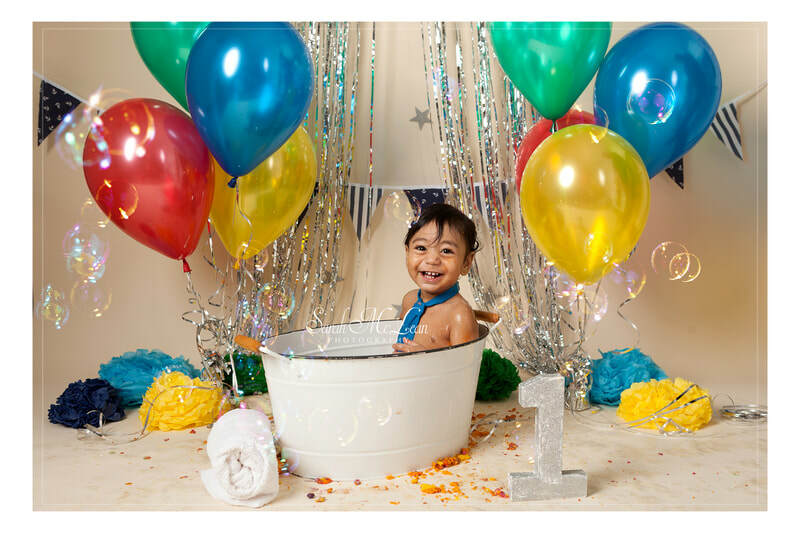 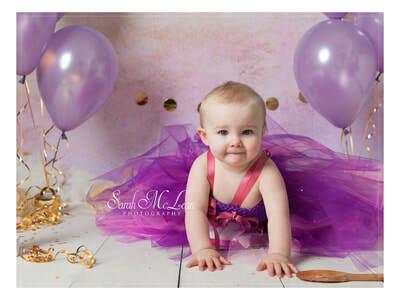 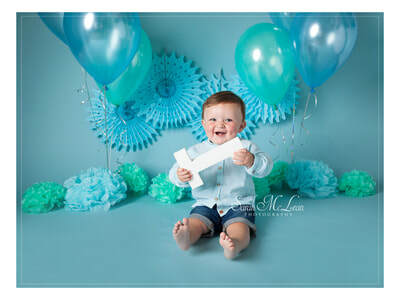 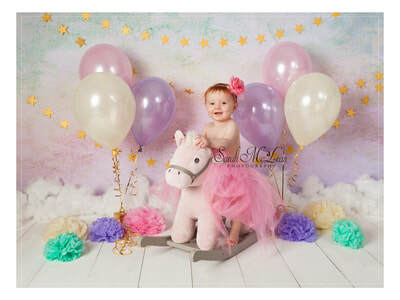 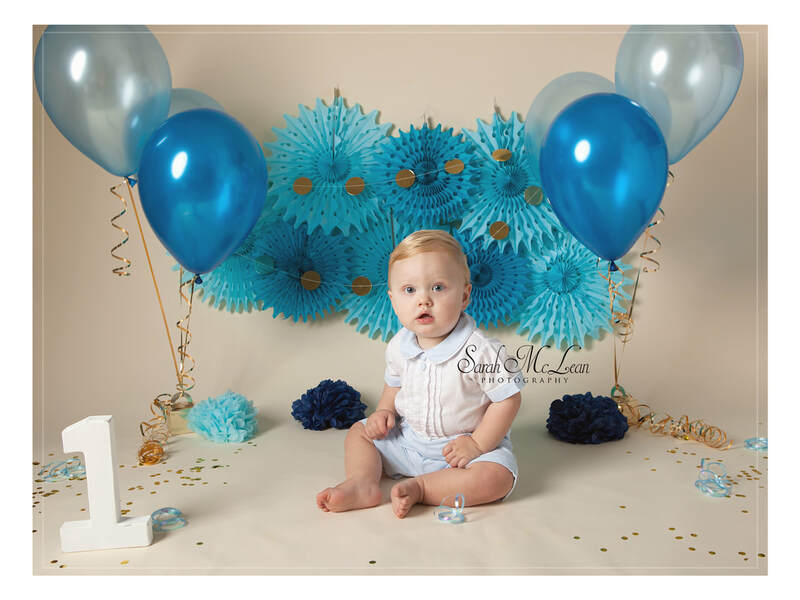 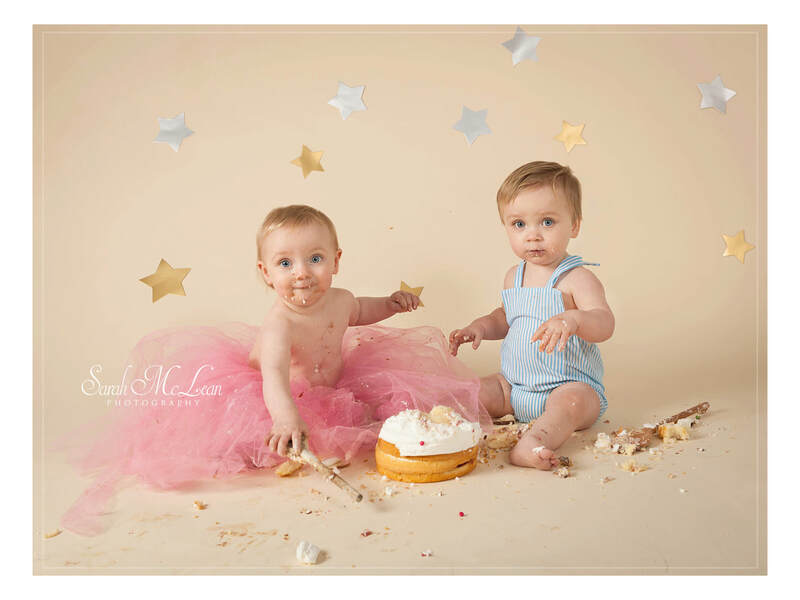 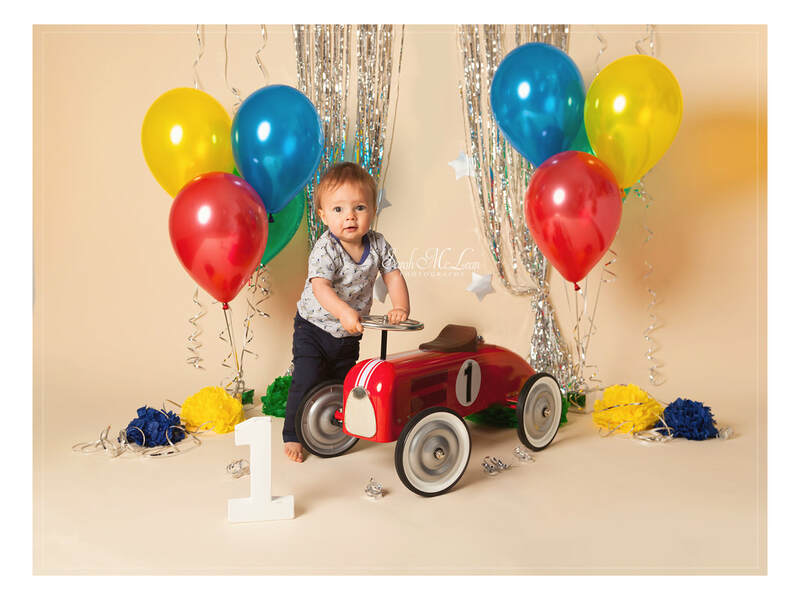 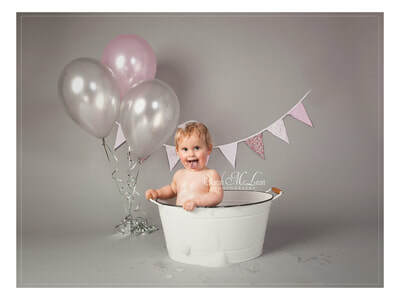 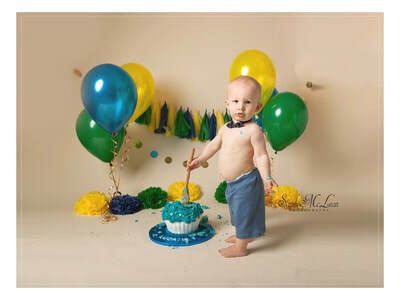 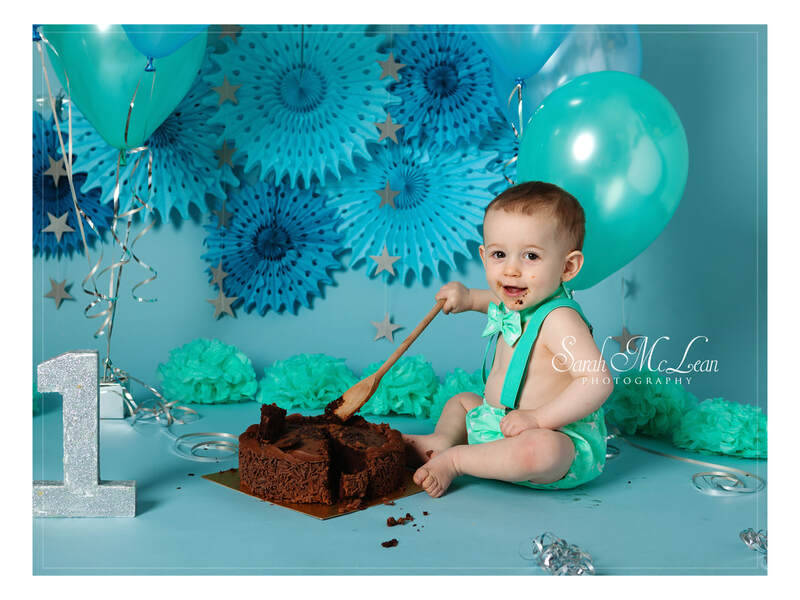 ​​Wearing their best outfit we start off with milestone portraits to record their 1st birthday milestone. 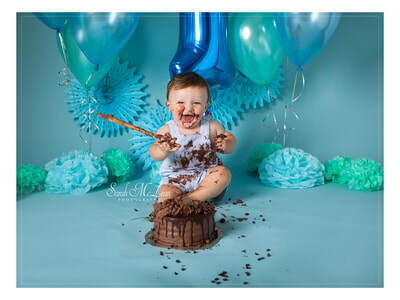 ​Next is the fun filled smash with cake! 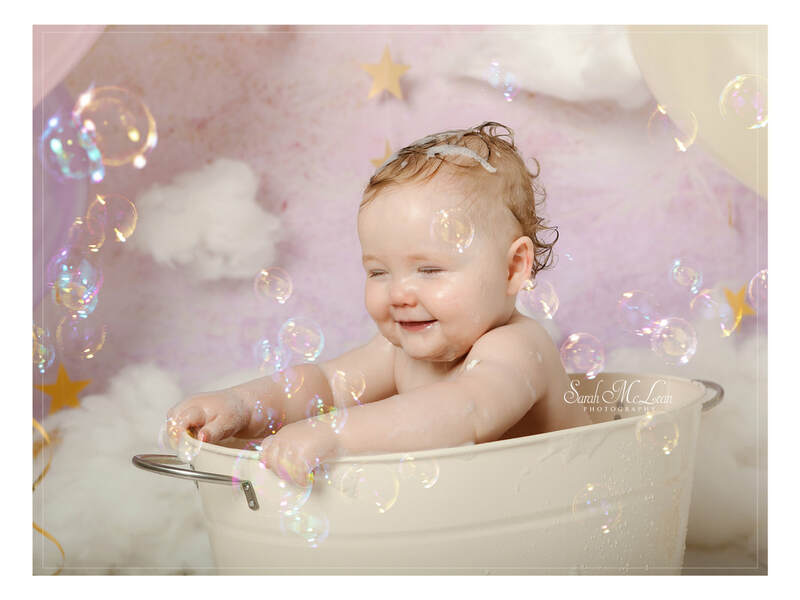 Our studio boasts a full bath/shower room to ensure clean up is as quick and easy as possible after the smash. 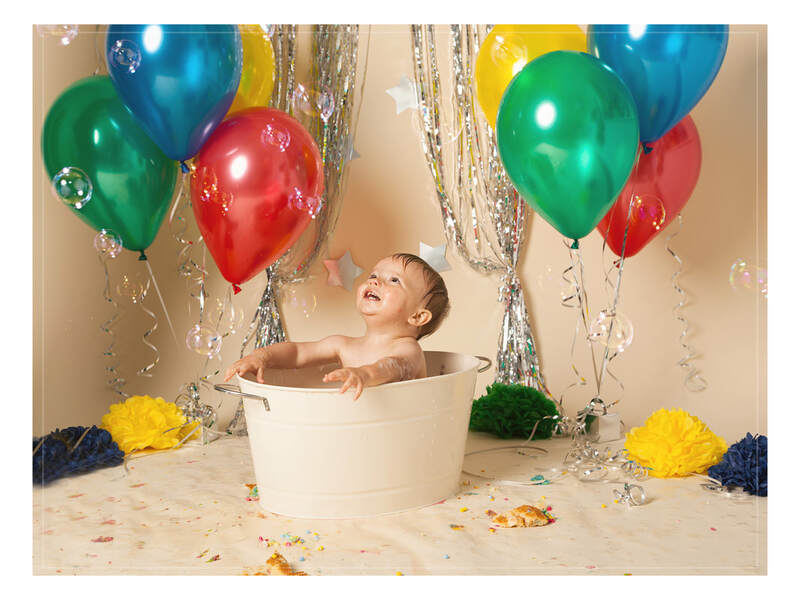 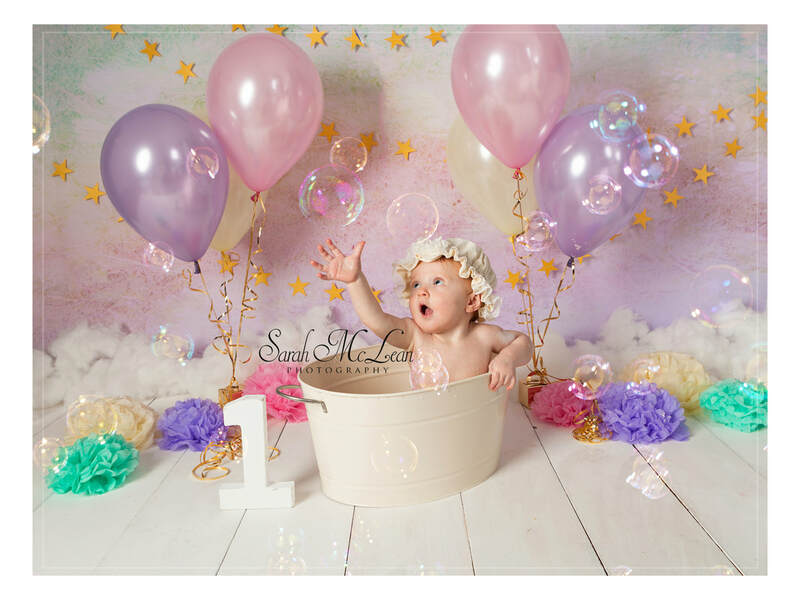 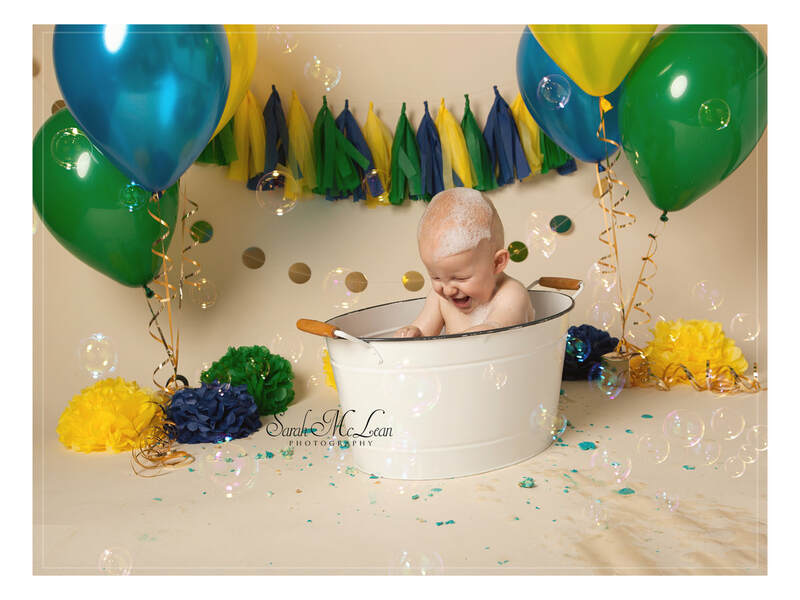 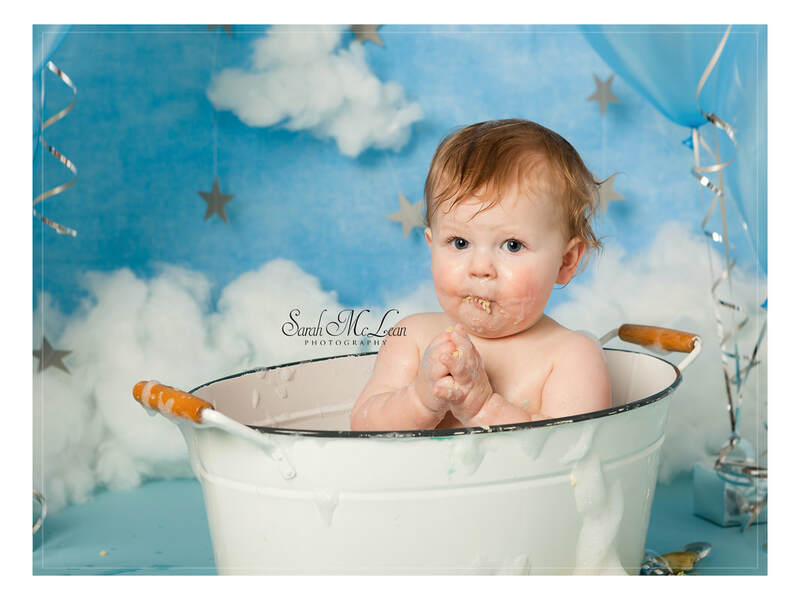 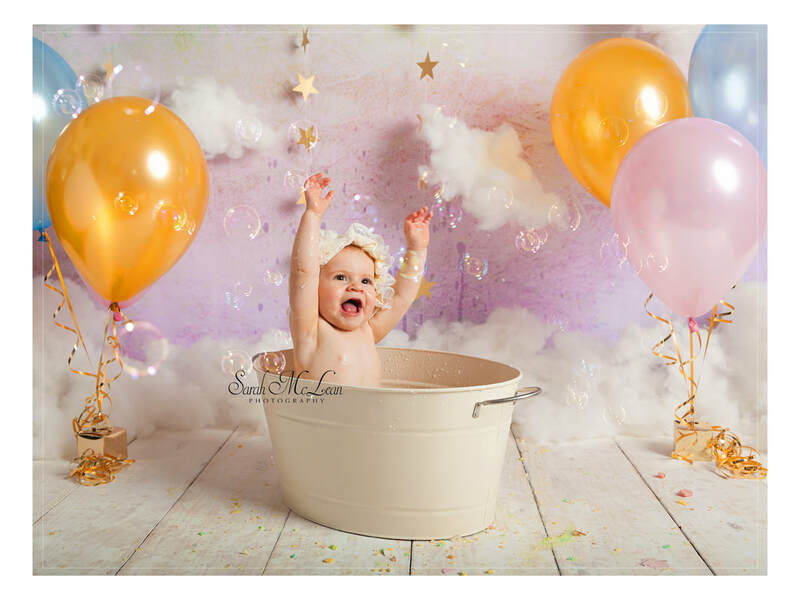 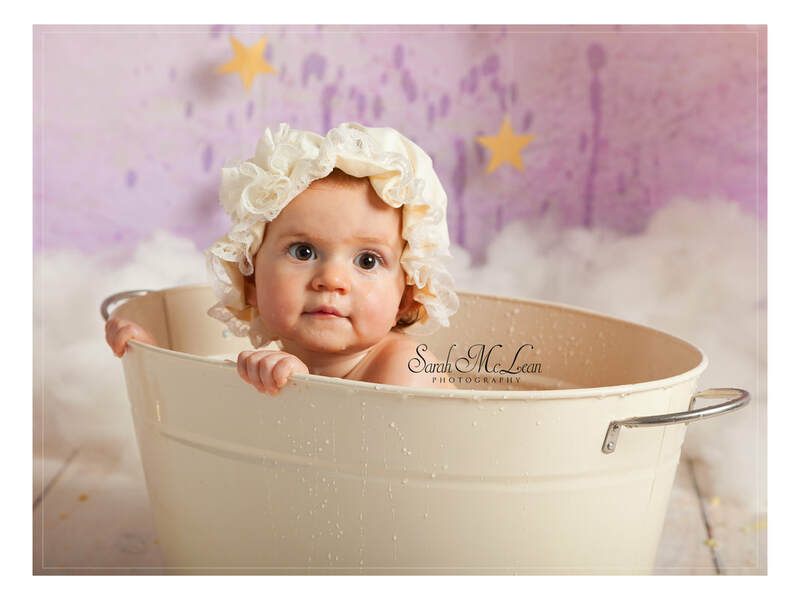 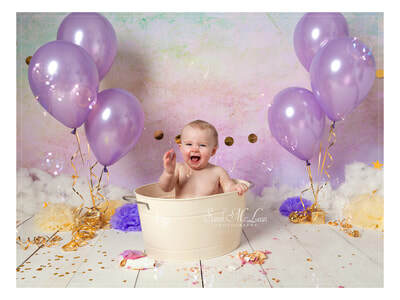 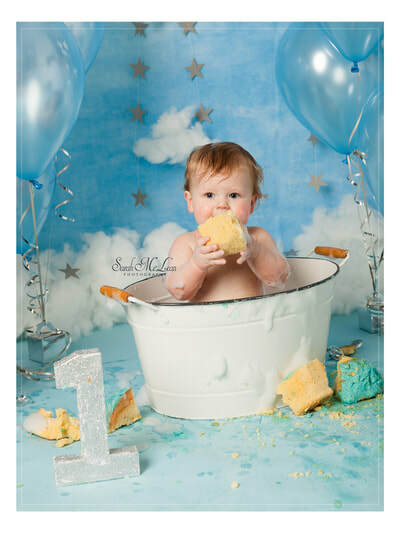 I also know that most babies are very fond of bath time so I offer 'Splash Time' to the end of every cake smash session - lots of bubbles and fun in one of our tin bath's.